Design/Build contract for complete remodel of interior and exterior. 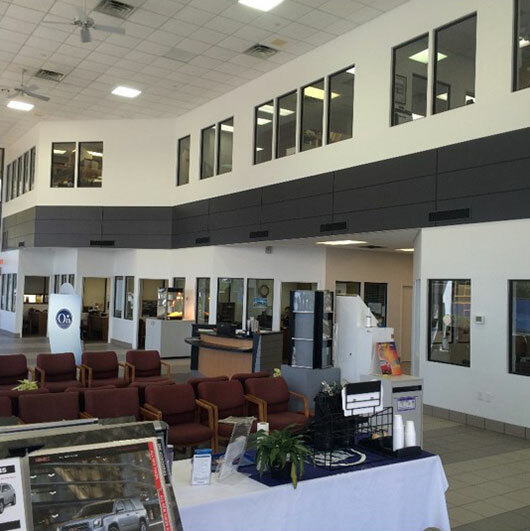 Interior remodel consisted of service writers, service drive, new bathrooms, customer lounge, showroom and parts. The exterior remodel was a complete demo of existing facade. Installed structural framing, install of new ACM panels, 24‘ entry tower, new car delivery, and pavers. 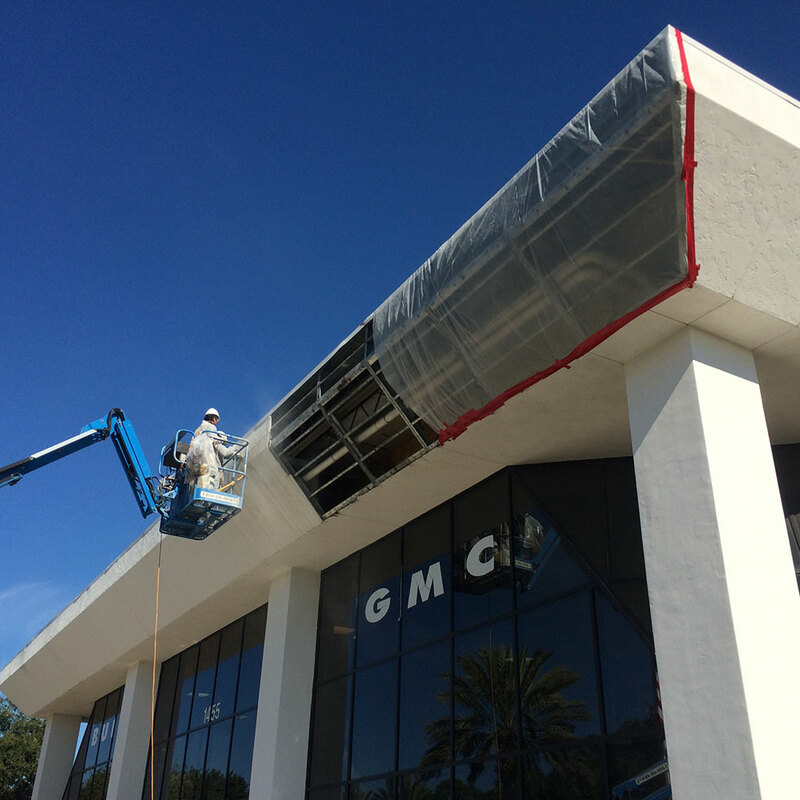 All completed while keeping the dealership open, safe and operational during construction.